From the Co-Directors: We are so thrilled to celebrate our center’s 20th anniversary. It was September 1997, when a group of Scottish Rite Masons, with Thurman Pace at the helm, cut the ribbon and announced the official opening of what was then called the Masonic Learning Center. Half the building was dedicated to children’s remediation and teacher training and the other half remained as a working Masonic Lodge. That semester we welcomed five teachers and ten students and our seminar room was the office where we gathered for lectures. While the numbers of children and amount of space were less then, our passionate spirit then and now remains the same. Today we serve more than 50 children and train 24 teachers. 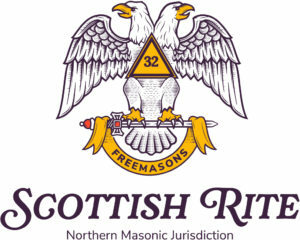 We are so very grateful to the Scottish Rite Masons commitment to bring the gift of literacy to children. In the fall of 1995 during her outgoing year as president of the New Jersey Branch of the International Dyslexia Association (NJIDA), Nancy Hennessey mentioned to the new incoming co-presidents, Judy Shapiro and Carol King that the Masons wanted to help children with dyslexia. Sure enough, the Masons of New Jersey contacted NJIDA and not wanting to miss ‘a once in a lifetime opportunity,’ Judy, Carol and Nancy attended a March 1996 Mason’s meeting to present, “Dyslexia: What Is It and How Can We Help?” Thurman Pace, Frank Nappo, Ken Larsen, and Mason attendees instantly wanted to start helping struggling readers. There was only one more piece to address. How would teachers receive first-class training, using a solid, research-based Orton Gillingham curriculum, so that they could in turn provide effective remediation? Fairleigh Dickinson University, under the direction of Dr. Mary Farrell, fortunately had a graduate certification program, Dyslexia Specialist Certification, in place already. In what some people refer to as a ‘marriage’ with the longest ‘honeymoon’ in history, FDU and the Masons of New Jersey joined hands; the Masons provide buildings and all necessary funding to run all aspects of the center and FDU would provide academic direction. The Mason’s vision was inspirational: free remedial instruction for the dyslexic student and superb training for teachers who would deliver such instruction. And by the summer of 1996, the first New Jersey Masonic Children Center was piloted in the library of Burlington County College. It didn’t take long to declare it a roaring success. Thurman C. Pace, Jr. and Ken Larsen, not letting any grass grow under their feet, opened two centers the following year, at Tenafly and Scotch Plains. In the fall of 1997, Scotch Plains opened its doors to five teachers and ten students. Five classrooms provided areas for instruction while the rest of the building remained a meeting site for Masons. Under the direction of Thurman Pace, the deputy for New Jersey of Scottish Rite a branch of the Masonic Fraternity, Scotch Plains quickly grew till every inch of the building was utilized for instruction, fifteen classrooms in all, and the Masons no longer met at this site. While Scotch Plains Center primarily serves children from neighboring districts such as Scotch Plains, Westfield and Millburn, many children travel considerable distances from Mercer, Ocean, Somerset and even Sussex counties to receive free remediation for their dyslexia. Now nineteen years later as the Children’s Dyslexia Center, Scotch Plains Campus, we celebrate our group instruction which provides group instruction successfully and the 192 teachers we have trained thus far. Each of these graduated teachers touches the lives of approximately 3000 struggling readers a year at their educational settings; multiply that by ten years and the number grows exponentially. Add to that the nearly 828 students served at Scotch Plains so far, and the number grows once again. Visions are created by visionaries; execution of such dreams takes dedication, continued optimism, a love for children and commitment to ameliorate their struggles and lots of hard work. The Masons have all these qualities. With leaders past and present such as Thurman Pace, Pete Miller, Verdon Skipper at the helm, we could only succeed. And at the building level, through the watchful eye and ongoing support from the late George Kerr, Bernie Cohen, Jack F. Lay, Sr., Paul M. Ferreira and now Kevin W. Engemann, as Scotch Plains Board Chairs, Scotch Plains Campus of Children’s Dyslexia Center of New Jersey, has flourished! From left to right: Kevin W. Engemann (Chairman), Katie Szajowski (Co-Director), Bryan S. Passione, Richard Flanagan, Judy Shapiro (Co-Director), Thurman Pace, Janis Lisa, William Billich, Al Dauth, Rose Moy, Gregory Scott, Nancy Fruchter, Ryan Moy.